Amelie's Blog : You are invited to join The Artsphere 20/80 at The Atmosphere! You are invited to join The Artsphere 20/80 at The Atmosphere! Guess you guys get to know the news of the grand launch of The Atmosphere, Sri Kembangan which I shared through my Facebook page earlier! In conjunction of celebrating the opening of a new shopping area, there will be an artsy affair! As a graphic design student, I will definitely never miss out The Artsphere 20/80 which is happening on this coming Sunday (22nd)! 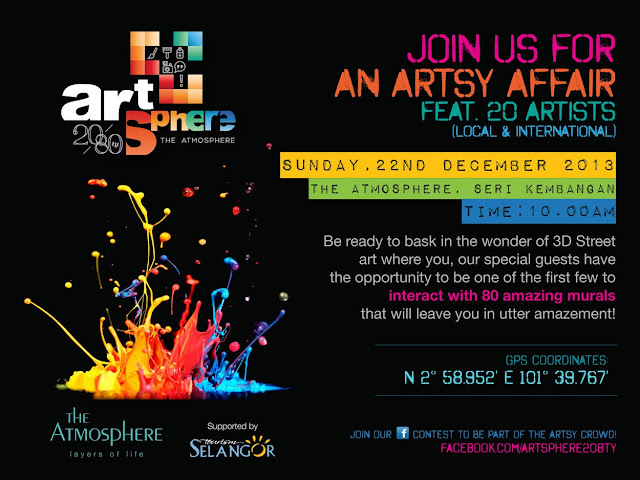 Designers, art lovers, photographers and all of you are invited to join us the fun at The Atmosphere! It's FREE submission. 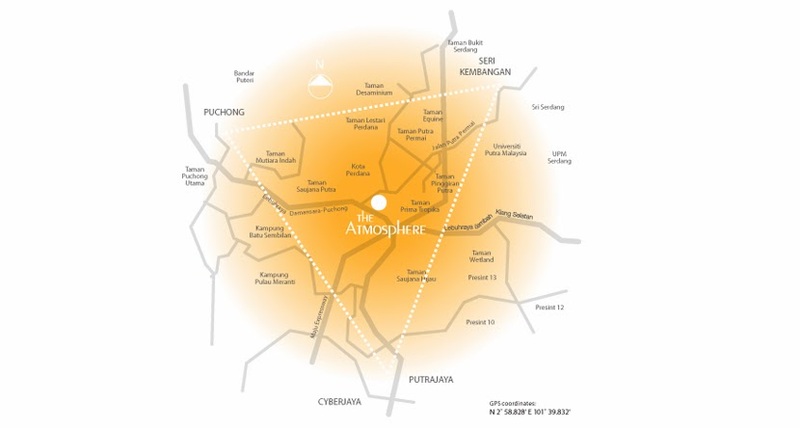 What is about The Artsphere 20/80? 20 international and local artists are invited to paint 80 mural arts in the area. These murals are special because they are 3D and interactive. It will be Malaysia's most diverse collection of 3D murals. It is located at Sri Kembangan! Check the map, so that you won't get wrong or lost! If you are using WAZE, you can definitely navigate 'The Atmosphere' to locate! What other activities besides the Murals? There will be interesting contests which can win you prizes up to RM15,000! Calling all instagram-ers, selca-ers and amazing posers, you should never miss this!!! The contests will be segregated into two parts: 'Most LIKED photo' which involve online voting via Facebook and 'Most CREATIVE photo' which will be determined by the judge, Management of The Atmosphere. 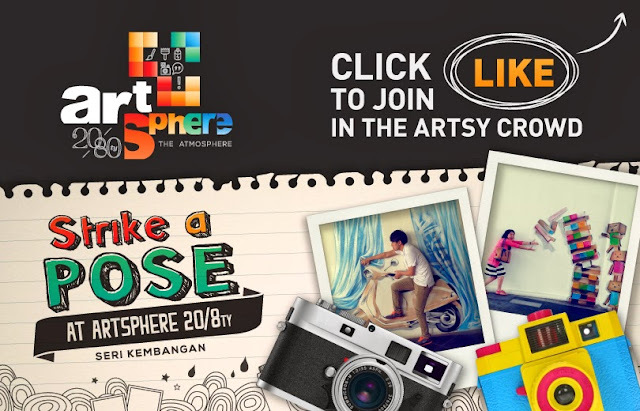 So, attend The Artsphere and strike a pose with your favorite murals! It's as easy as XYZ! Choose any of the category which you would like to participate in! *The contests valid from 22nd December 2013 till 16th February 2014. *With terms and conditions applied.